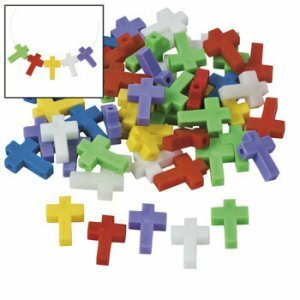 Christian Pack of 20 Colourful Beads. An essential for Sunday Schools - these beads are ideal for making necklaces,gluing onto pictures and collage and all kinds of activities. Beads are made of colourful plastic and measure 2.5cm by 1.5cm. Great Value, Great Price - Only 99p.